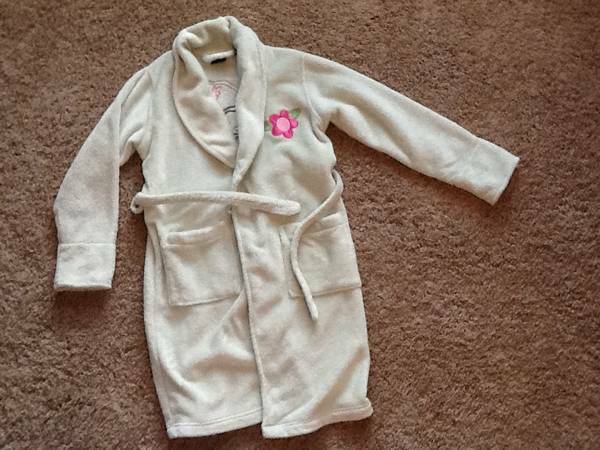 Soft and plush, comfy robes for sale. Can accept payment and ship through Paypal for a small charge.....contact for details. 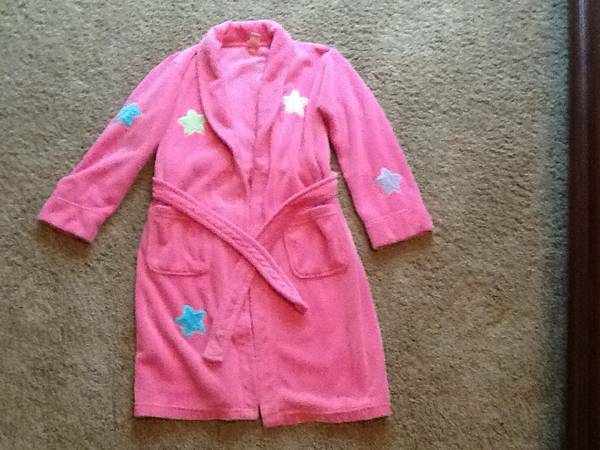 Pic #1 - Pink with stars. Belt and 2 front pockets. Size Large....10/12. Pic #2 - Light green with embroidered flower and monkey on back. Belt and 2 front pockets. Size 8.